Be smarter than you were before the invention of the Internet. 3D Printing is new, hot and controversial. See the trends being created by this new industry and the market opportunities that will flow. Read about international applications and why this technology is so frightening to established firms. See what money making opportunities exist for you and your company. 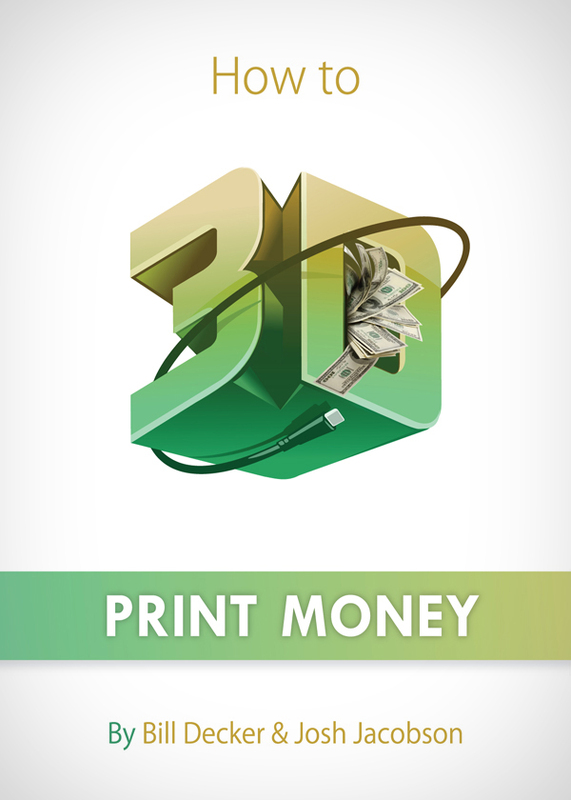 Www.howto3dprintmoney.com. Bill Decker is a 30 year veteran of market entry, media and international business. He saw the opportunity to create the voice of the 3D Printing world and has built some of the industry’s hottest media properties. He has lived on 4 continents and has been involved in dozens of start ups. He is a founder of the Association of 3D Printing and hosts one of the leading radio shows in the industry. He is a regular newspaper columnist and the author of 6 books.Josh Jacobson brings over 15 years of marketing and executive management experience to the manufacturing industry. He has pioneered new composite technologies and has revolutionized the field of carbon fiber instrument construction. Mr. Jacobson has founded numerous successful startups and is the CEO of Viktorian Musical Instrument Company, which designs and manufactures high tech composite electric guitars. He is a founding member of the Association of 3D Printing and participates regularly on the leading podcasts in the additive printing industry. You can purchase the book online from Smashwords in multiple eBook formats at https://www.smashwords.com/books/view/343122.